180 of these were signed by all the members of the band. though overblown in volume and compression as most remasters are these days, the 2CD version of Irreligious maintains the integrity of this seminal, important album by accompanying it with period recordings of the band's fierce live show in support of the record when it was released. 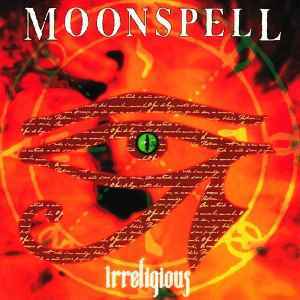 the sound quality isn't always perfect on these live tracks, but that's part of the appeal: Moonspell young, raw, with something extra to prove that has, naturally, faded with time, though without noticeable effect on the music. also worth the money via the inclusion of "Opium" in radio form, which features alternate vocal takes in place of the growling - an interestingly different sound for a classic song.